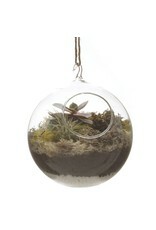 This glass terrarium allows you to hang a garden anywhere in your home or office! 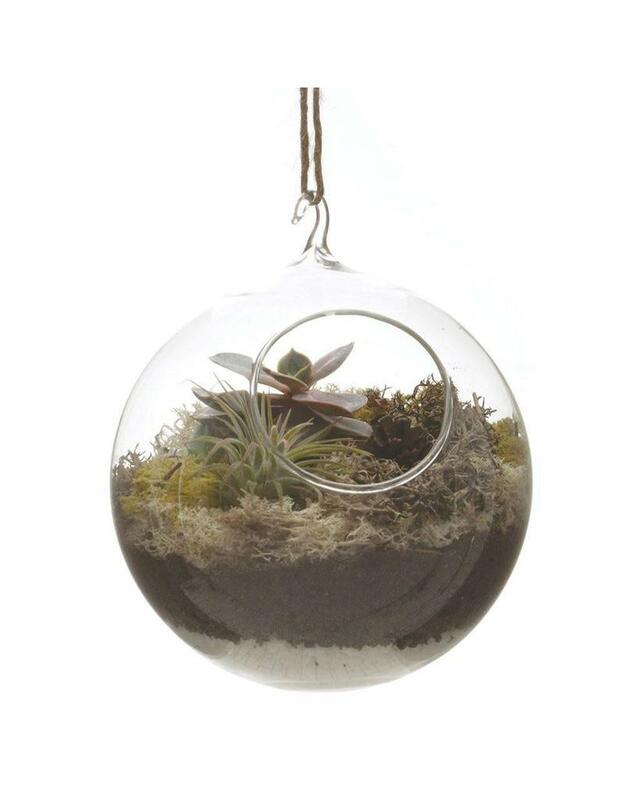 With a 2.5 inch mouth opening, there's plenty of room for even the klutziest hands can place succulents or air plants inside! Not a plant person? Add a tealight to it to add some ambiance to a room.